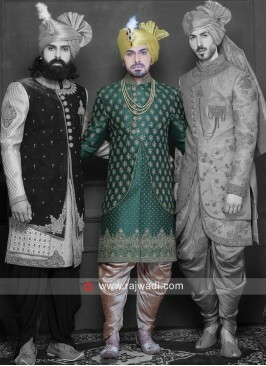 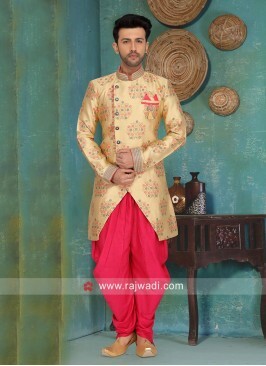 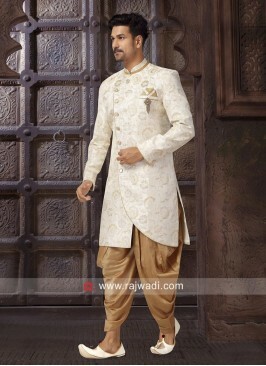 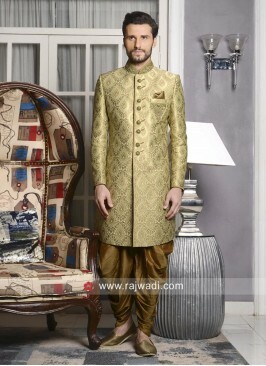 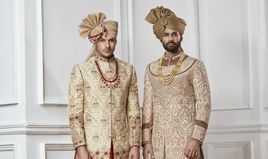 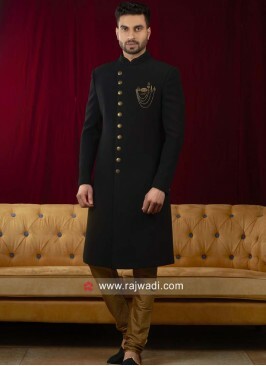 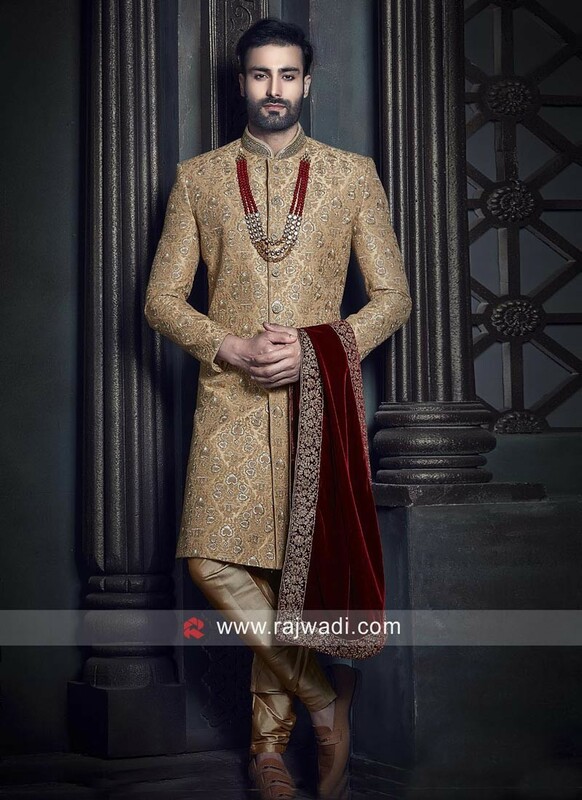 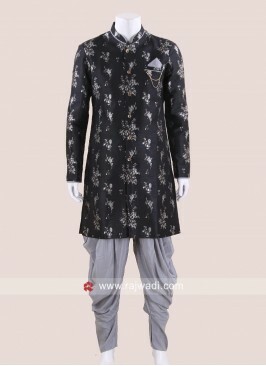 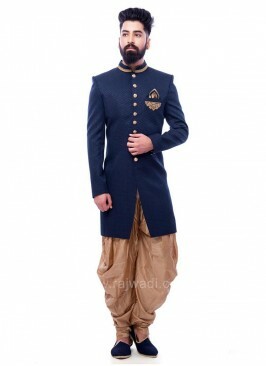 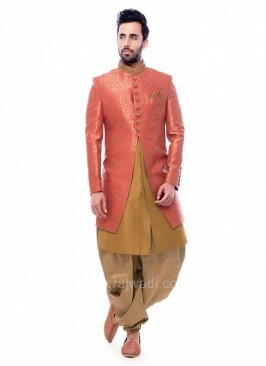 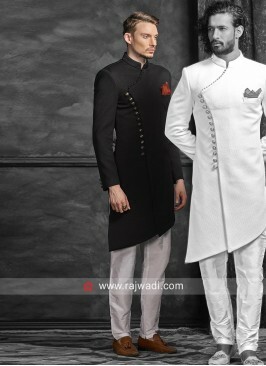 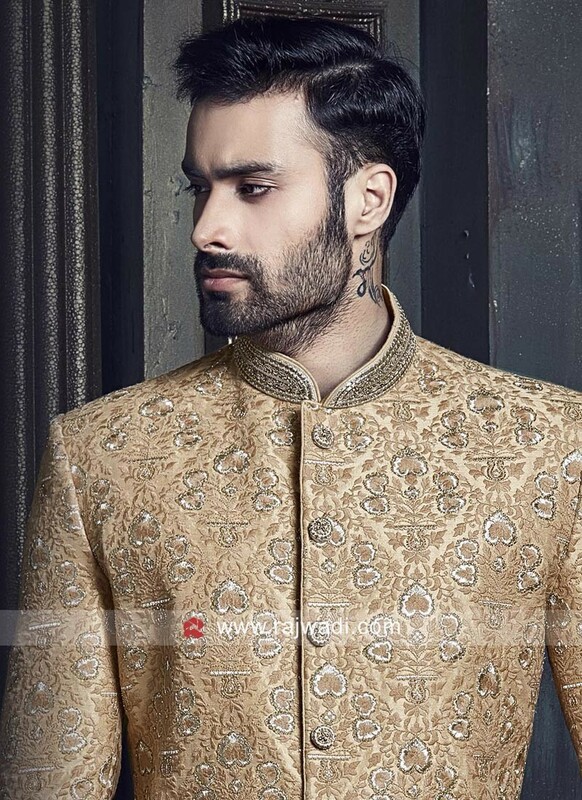 A Dark Goldenrod Raw Silk Indo Western Sherwani perfect for wedding and reception. 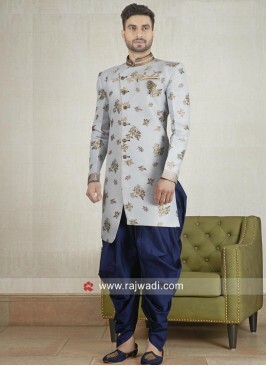 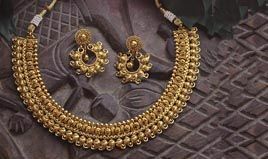 Beautified with Resham and zari embellished stand collar will create a different look. 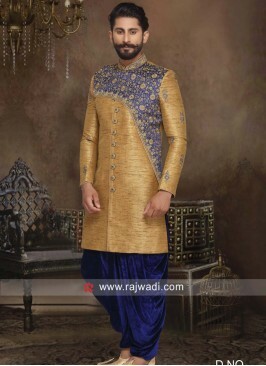 Available with contrast Cotton Silk Golden churidar. 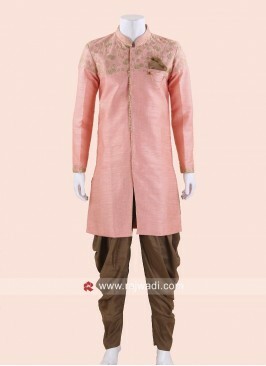 Party Wear Peach Indo Wes..
Art Silk Fabric White Ind.. 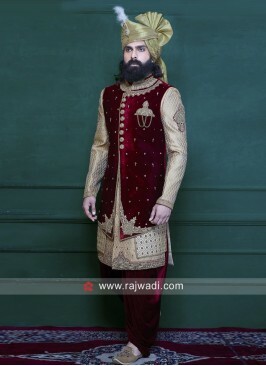 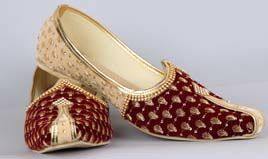 Wedding Wear Maroon and G.. 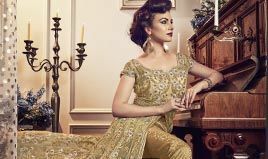 Dark Peach Indo Western F..
Art Silk Fabric Green Ind..
Golden Indo Western For M..
Black Brocade silk Indo W..
Navy Emboss Fabric Indo W.. 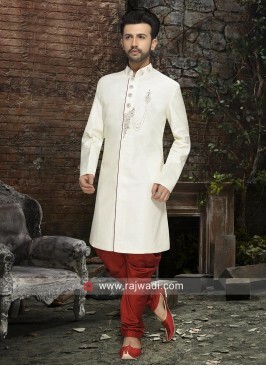 Cream Color Indo Western .. 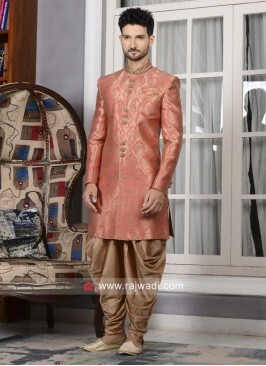 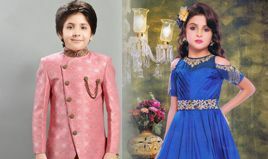 Pink And Golden Color Ind..